Looking for private in-home or in-studio Viola lessons? Our Beaumont teachers are ready to get you started. Find your teacher today! I have taught middle school orchestra for over 7 years and private viola for over 10 years. Hello! I've gotten Master's Degree in Music and possess 13 years of teaching experience with students of all ages and at all skill levels. What do my lessons give to You? What will you be able to do after a short time? How else can my lessons help? So feel free to contact me any time and ask any questions. I am eagerly waiting to start to help You quickly progress as an excellent performer! My name is Nikita and I am a violin, viola and guitar instructor with 13 years of teaching experience. I work with international students of all ages at every skill level. So I am fully committed to the entire range of musical education. Have you been contemplating professional music lessons? You have found the right teacher! I acquired a Master’s Degree in the St. Petersburg State Music Conservatory of Russia. For over 20 years of my musical study and career I was not only teaching, but successfully performing in numerous concerts and recitals as a solo/chamber ensemble/symphony orchestra performer. I am also a recipient of various awards for republic and international competitions, amongst which are the V International Competition, Ukraine, and XXXIII Republic Competition, Kazakhstan. nteresting and fun? You’re right! For the best results you need to enjoy the entire process. That is why my lessons are always easy to understand, interesting and fun. I would love the opportunity to assist in your growth and development in the musical arts and remember… you’re never too young or too old to start!!! My son has been taken from Nikita for 7 months now. What a difference the months has made! My son is enjoying the instrument more and more, he's more confident in making good sounds, and the best of all, from Nikita he's learning how to be mindful when playing. Nikita simply is the best. Nikita immediately focused on the areas where my daughter needed improvement and helped her take her playing to the next level. The improvement in just a few lessons was very noticeable. He is patient and thorough and uses the time efficiently. I was surprised at how well an online lesson could work. We are going to continue with more lessons with Nikita. My son had been taken lessons from Nikita for a month now. I can see that the lessons have made a huge difference in his playing. He now has better sounds and postures, and his confidence with the instrument has also gone up quite a bit. Nikita is an intelligent teacher. He doesn't emphasize on what to play, instead, he focus on how to play. He corrects wrong techniques consistently, and gives helpful drill assignments to practice at home. We are extremely happy with his teaching. 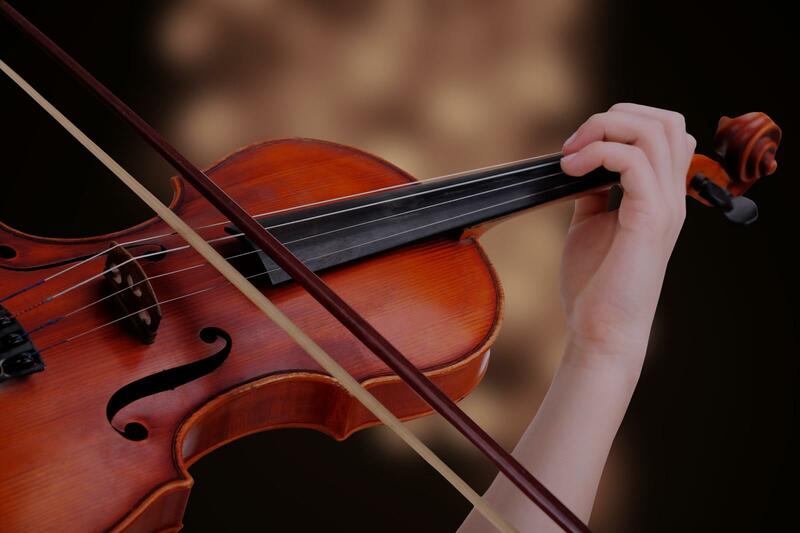 I've been teaching & performing for ten years as both a violinist and violist. I hold a Master's Degree from McGill University and my Bachelor's from Indiana University in Music. I'm also Grand Prize winner of the Fischoff National Chamber Music Competition, the largest competition of its kind in North America. I love to teach and believe that there are many ways to learn, but that the best ways are always the ones which are most enjoyable! I encourage my students to pursue their musical passions and to be open about what they want to learn and what motivates them to play their best. I love helping students of all levels achieve and exceed their goals!